John Edward Mansfield died Tuesday, Sept. 4, in Nashville following a diagnosis of pancreatic cancer and complications from subsequent surgery. He was 80 years old. Born in Glasgow, Ky., on April 17, 1938, John was the only child of James and Janie Lucille Mansfield. He attended Park City High School, then Georgia Tech and David Lipscomb College, playing basketball at each school. He saw his playing time at Lipscomb curtailed after skipping a mandatory team meeting to go on a date with fellow student Betty Sue Sparkman. The two wed in March 1961 and stayed married for 57 years. In retrospect, he probably made the right decision. John worked in Nashville’s real estate, housing and construction industries throughout his career, with jobs at Burton Construction Company, Charlotte Mobile Home & Camping Center, and Joel Riggs & Company. Like many Mansfield men in his lineage, he spent most of his career working from his home or for himself. He also operated his own home-inspection business, where he developed a reputation for thoroughness and attention to detail. In 1975, he grew a beard, having flirted with the idea previously in 1960. When he shaved it off, his bare face upset his young daughter so much he promptly grew another, one that highlighted a physical resemblance to Abraham Lincoln. 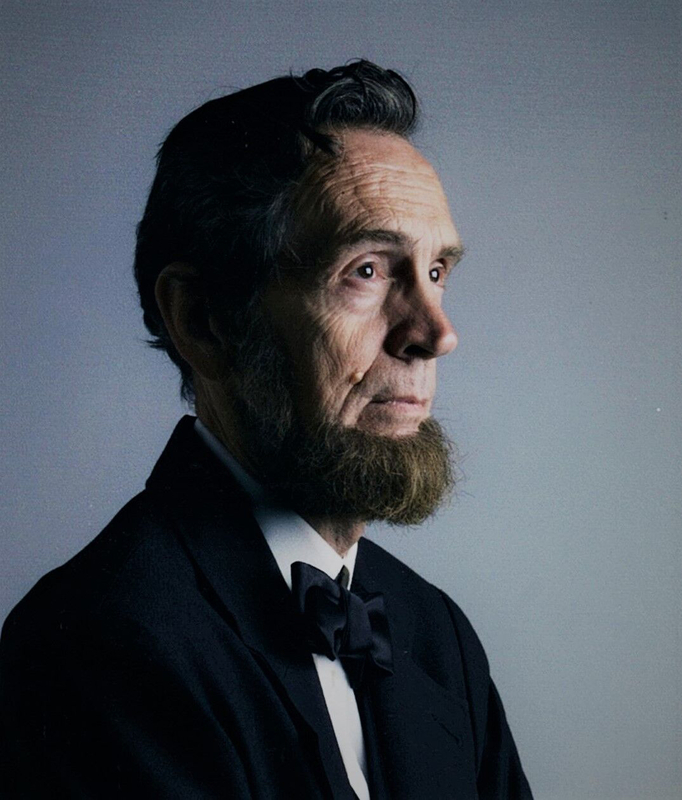 He began portraying Lincoln semi-professionally in 2006, winning the look-alike contest at the Lincoln Days Celebration in Hodgenville, Ky., Lincoln’s birthplace. He eventually won that award three times and also was a three-time winner of the Lincoln Days oratory contest. He was a member of The Association of Lincoln Presenters and, with Betty, was honored as the Best Abe & Mary Team in 2010. He also starred in the 2008 documentary Being Lincoln: Men With Hats. He is survived by loving wife Betty Mansfield; by son Brian (Nancy) Mansfield and daughter Sonya (Russell) Ross; and by grandchildren Nick Mansfield, Zach (Vanessa) Mansfield, Gracelyn Mansfield, Annalise Mansfield and Ayden Ross. I must have realized I had a cousin who lived right by my grandma Mansfield when I was about 8. He was already 16-17 and of course it was from a very childish viewpoint. I came to realize he was extraordinary. His faith, his family values and his giving ways always impressed me! Living in Ohio, I was not privileged to know him as many others did but I’ve always been proud to call him cousin. We, too, would visit Great Grandma Mansfield on our annual summer vacation to KY. I always thought that it was so neat that her son lived so close. Like you, Sandy, I did not know John very well (age difference), but I always admired him. And I know that Grandma Bowles always loved her family. I THINK I was the first to ask John to read the Gettysburg Address for J.T. Moore middle school where I taught. Can’t remember the exact year, in the 90’s. Did a great job! He also helped us figure out a remodeling support problem that several engineers could not solve. John was great at thinking out of the box. Love this family! Betty, Brian, and Sonya, so very sorry for your loss. So sorry I can’t be with you as I am attending my nephews funeral. Please know my thoughts and prayers will be with you. LOVE YOU ALL. My condolences to John’s family and friends. With the loss of a friend comes many memories. I will always remember John’s wonderful way of delivering prayers and how he loved to eat pie! No doubt most people looked up to him. We met John and Betty when we came to West End. We remember many times of their hosting the High School Youth Group. Later, Jim and John kept their friendship up through his home inspection business and Jim’s appraisal business. We then found out your Mom was related to my Aunt. Sonya, we worked together at Goodpasture for a few years. Our lives have crossed so many ways. Jim and I are deeply saddened with John’s passing and we send our love and prayers for all of the family. Earth is a bit worse off but Heaven is enhanced by Johns passing. We knew John as friends and also in business deals and he was the most honest, trustworthy person you could find. We liked him immensely and admired both John and Betty for their Christian lives. Brian was well liked by us and their family was just a lovely sight. We will all miss John and look forward to seeing him again someday at Jesus feet. Prayers for each of you in this time of sorrow. He had a lot of patients with me, I think I drove him crazy. On vacation I really didn’t have any one to play with unless we visited other family members with kids more my age. So I narrowed out John, although so much older than me even older than my brother. If I didn’t talk I could be upstairs and listen to his music. I’d wait for him and Uncle James to come home for lunch and get lifted into the air REALLY HIGH. He’ll be greatly missed! My prayers and thoughts are with you all! I liked, and respected this man. He had a quiet integrity that I remember to this day. He is a loss to this world, and my heart goes out to his entire family. My thoughts and prayers are with John’s family as they say good bye him. I was a part of the his Park City High School Class of 55. Anyone that knew any of that class knows that we hold special places in our hearts for each of our classmates. I am sadden deeply to know that I won’t get to see that caring smile at the reunions and hear him reminisce about out senior days when I was his very short queen. We always remember how his mom kept putting money in the pot so we would win. He was a wonderful classmate. He leaves the world a better place. My sincere prayers for this family as they grieve! May they find the peace that I know John believed in so deeply! Love and prayers for the Mansfield family! 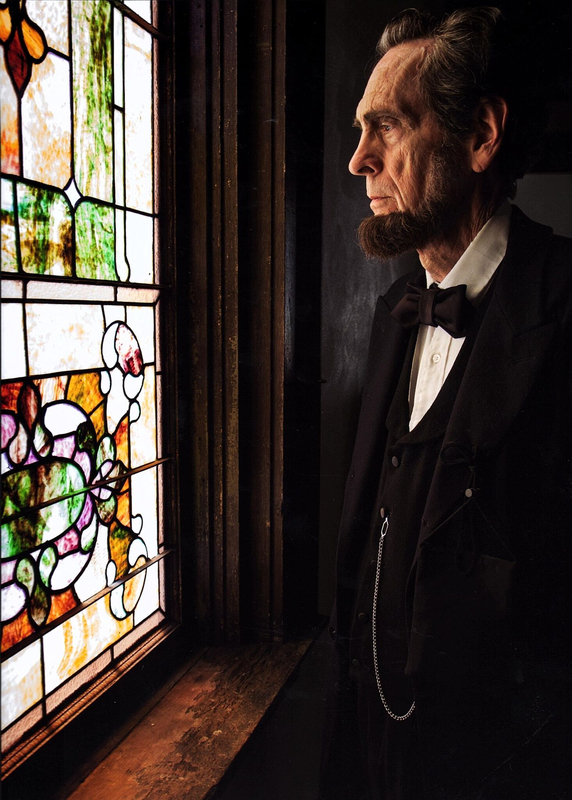 This weekend is Civil War Days in Munfordville Ky and already his presence is missed, not because of the great job he did portraying Abraham Lincoln but because of the person he was, I always looked forward to talking to him and hearing his stories. We will never forget him and will be praying for all of his family. John was a great man and always a pleasure to talk to. He will be greatly missed! I first met John Mansfield in 2006, when a film maker named Elvis Wilson was doing a documentary (Being Lincoln Men with Hats) about men all across the country who looked President Lincoln. We were trying to convince John into going to Hodgenville Ky. and taking part in an Abraham Lincoln look-a-like contest. John tried to come up with several excuses why he couldn’t do it, but Elvis and myself wouldn’t take no for an answer. John went to Hodgenville, took first place in the contest and became a world class Lincoln Presenter, bringing joy to countless numbers of children and adults all over the country. My wife Molly and I have been blessed to know John and Betty Mansfield and I will miss John more that I can say. Our deepest sympathy on your loss; keeping you in our hearts and prayers. I remember meeting him at the Buchanan House in Donelson, he was playing the famous role of Abe Lincoln. He seemed like a kind and gentleman. My prayers and thoughts go out to the family. A prayer of God’s loving compassion for John’s family. I didn’t know John personally but met him where I work. When I first saw him I didn’t want to say the obvious but instead said “Man you’re tall”. To which he responded “Yeah and some folks confuse me with George Washington”. I knew him for his great sense of humor and we talked often of his portrayal of Lincoln whenever we had the good fortune to meet. He will be greatly missed. John was a good man. That is full praise enough. However, he transcended that accolade and must be noted as an excellent Abraham Lincoln Living Historian. I met John through events in which I was a General Grant Living Historian. Working with John several times over the years was both a blessing and a tease because he always left me longing for more. He was the definition of Lincoln in body and spirit; particularly the later war years. John had such a melancholy air about his Lincoln presentation that I always felt I had been in the presence of Lincoln when I left him; quite a presentation power and with no apparent effort on his part. I didn’t know John as well as I would have liked and that is my loss. I will miss him more than I like to think. We are all the lesser with his leaving us. I was and am greatly saddened to lose him.